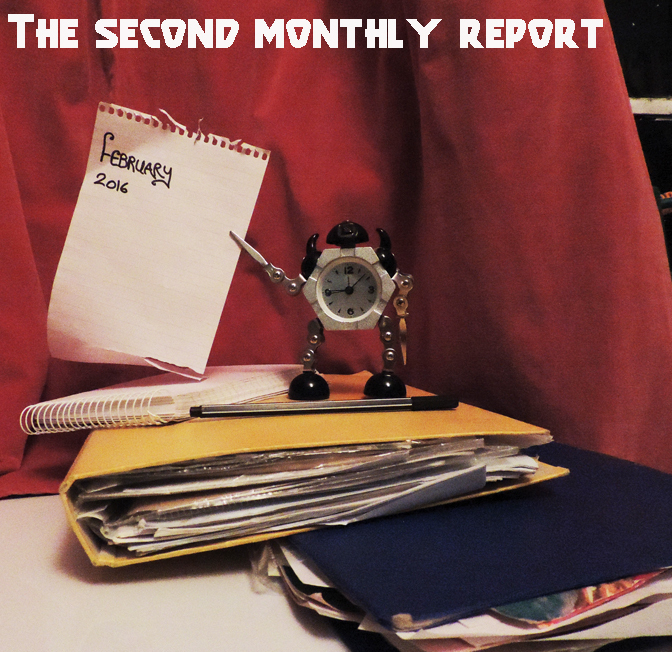 The Second Monthly Report; February 2016 | A Motley Miscellany of Oddities, Buffoonery, Criticism & c.
Unfortunately, David Bowie is still dead and in fact has been more productive than ever as a commercial entity, as music, magazines, TV shows, pop stars and books pay tribute to the great man. Published in a large (indeed, tabloid newspaper) format, but with an embossed leather cover, David Bowie: A Newspaper History is an extremely fascinating but mostly not at all heartwarming memento of a career of dazzling highs and normal human lows as seen through the distorting lens of The Daily Mirror; revealed here – in case you didn’t suspect it – as a sensationalist tabloid that never really understood anything about the man except for his fame and newsworthiness. Although there is some introductory scene-setting concerning the outrageously long-haired Bowie of 1965 (with a great full-page photo) and a brief snippet about his Man Who Sold The World man-dress, the book really takes off, as one would expect, in 1972, when Bowie became a household name after the Ziggy-era singles began to chart, to the bemusement of the older generation and, one assumes, the readers of the Daily Mirror. For the next few years, the Mirror veers between the predictable extremes of fashion icon idolatry and ‘has-he-gone-too-far?’ tabloid outrage. So we see David and Angie, the toast of the fashion world, David and Lulu, the ‘odd couple’, ‘Bowie Goes Straight!’ as glam rock dies, depressingly muck-raking coverage of David and Angie’s separation (“ZOWIE: boy in the middle”), rumours about his love life, innuendo about his drug use, continuing surprise at the longevity of his career and good health. What makes the book so fascinating is that the Bowie stories are framed with whatever else was going on at the time; political scandals, murder, adverts for banks, cheap chicken, New Mirror Bingo, all giving a vivid and immediate contemporary context that a biography can only do justice through exposition and anecdote. It also incidentally shows how central Bowie was, and continued to be, to popular culture in the 70s and 80s; film and television, Live Aid, riots in Brixton, new advances in technology and marketing (‘Vote for the songs you want to hear on Bowie’s 1990 tour’); Bowie was there, leading, following, keeping his distance or taking part; it’s no wonder his absence is felt so keenly. If the tabloid culture of the 70s and 80s was deplorable but kind of fun in its eminent shockability, worse was to come in the 90s. The Mirror may(?) have been a cut above The Sun or News of the World, but its journalism epitomises the tabloid culture where anything private is ‘secret’, non-married partners are invariably ‘lovers’ and the language used is a bizarre mixture of pedestrian illiterate-friendly English, salacious puritanism and puerile baby-talk. From being the ‘bizarre pop phenomenon’ of the 70s and ‘pop chameleon’ of the 80s, Bowie now becomes just ‘rock star David Bowie’ and the Mirror wants to have its cake and eat it; being shocked and condemnatory where there is suspicion of drug use or disharmony between Bowie and ex-bandmates, shocked/amused by anything vaguely unusual that Bowie said/did/wore (We can be hairdoes..), but also devoting ‘heartwarming’ stories to anything that normal famous people do; a full page is devoted to the birth of his daughter (Daddy Stardust) and his recovery from heart surgery (I AM HUNKY DORY). In amongst all this are a some genuinely interesting pieces; a fairly short and shallow interview with Alun Palmer in 2003 is fascinating because the Mirror wanted to know about things that NME, Mojo etc didn’t; his health, his personal life, his smoking; everything in fact except the actual music he was making. In more recent times it all becomes a bit reprehensible; Aladdin Retirement (2012) attempts to pry into his private life and quotes nameless ‘friends’ about his desire to avoid the limelight without the slightest sense of irony or self-awareness. Even worse are the frankly vile speculations by ex-music journalists who should know better concerning his flurry of activity in 2013 (DOES A TRAGIC REASON LIE BEHIND THE THIN WHITE DUKE’S RETURN?) which fizzle out as Bowie doesn’t die and the paper loses interest, instead satisfying itself as usual with photos of Bowie caught off-guard, looking normal and, sin of sins, his age. And then, inevitably, comes Blackstar (Album of the Week no less; actually a very good review) and then the obituaries; the hypocritically respectful overviews of his life and career intercut with whatever snippets and details they could get on the state of his health during the final months of ‘secrecy’ while he fought cancer. 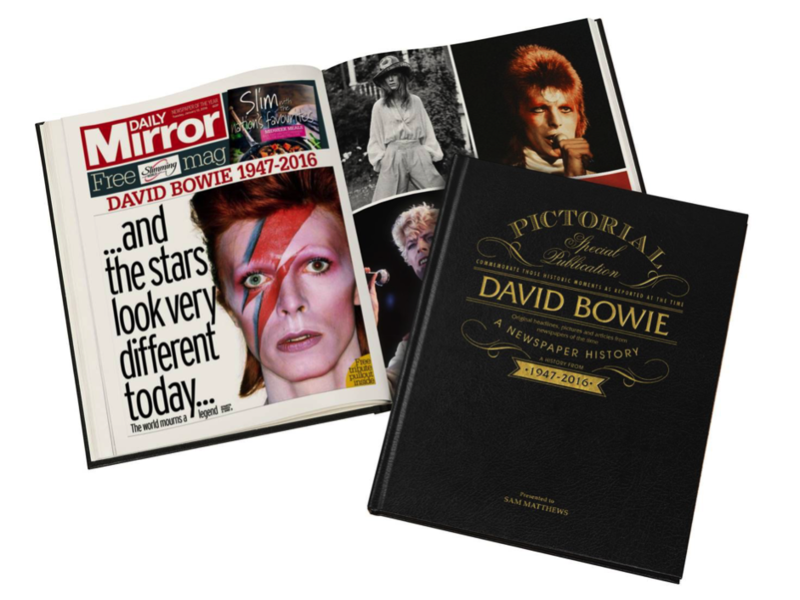 David Bowie: A Newspaper History is a fascinating, absorbing book. Fans, people who have followed Bowie’s career and work will find in it hundreds of photographs they may not have seen before, the kind of stories that don’t make it into serious biographies, but also a peculiar parallel universe where their hero is distorted into somebody that only unbelievers will recognise; David Bowie the ‘superstar’. Highly recommended; in an odd way it’s a very fitting memorial to a life lived in public, even if it leaves a funny, slightly bitter taste in the end. 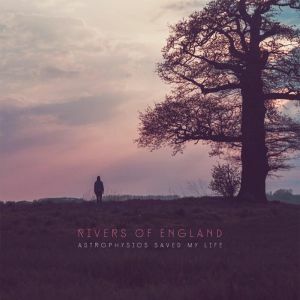 Astrophysics Saved My Life is the second album by folk-rock group Rivers of England and it’s a rich, accessible and pleasant album that wears its unorthodox aspects very lightly. 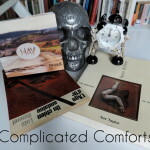 The most audible reference point is less folk (let alone ‘folk rock’) and more the jazzy John Martyn of Solid Air, although Rivers of England’s sound is never quite as unearthly as that comparison suggests, not least because singer/songwriter Rob Spalding has a David Gray-like (though not David Gray-sounding) directness in his vocal performances that is very different from John Martyn’s allusive, intuitive delivery. It’s a strong set of songs that seems set for mainstream success; they would be an eminently suitable festival band, so hopefully they should be on some main (or at least big) stages this summer. 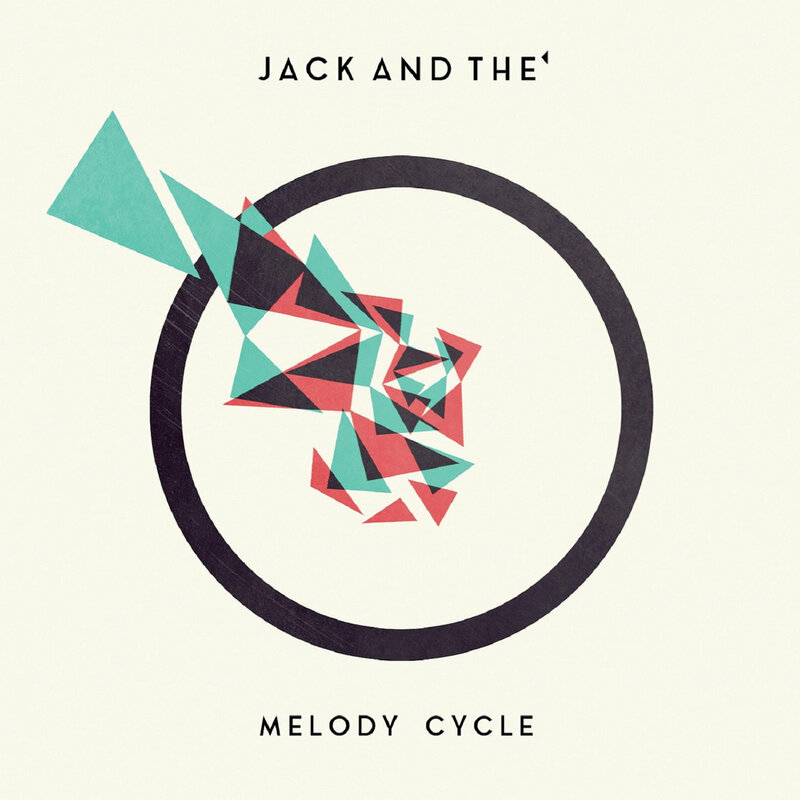 Less ‘normal’ and slightly more my cup of tea is Melody Cycle by Jack And The’, the musical project of Edinburgh-based French multi-instrumentalist Julien Lonchamp. 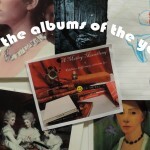 The album presents, in beautiful widescreen clarity, a kind of incidental-TV-music-baroque-jazz-pop that has a breezy charm that veers towards twee-ness at times, but is so brilliantly orchestrated that its complexity never overwhelms its sunny, life affirming quality. If you imagine The Beach Boys’ immortal ‘Aren’t You Glad‘ being played by a French version of Cornelius’ old band Flipper’s Guitar aided by Roy Wood-era ELO on strings and woodwind and you are not only being weird but possibly getting close to the sound of Jack And The’; better just to listen to Melody Cycle though, that way you’ll know exactly what it sounds like. 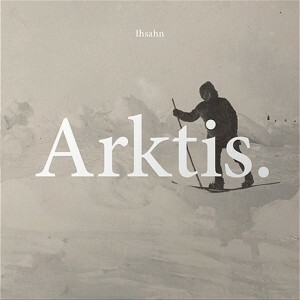 In a heavier vein than the Folkwit records, my favourite metal musician Ihsahn is preparing to release his new album Arktis. through Candlelight Records. Where Das Seelenbrechen (my favourite Ihsahn album to date) mixed avant-garde electronica, classic songwriting, Scott Walker-ish experimentation and rock and metal elements, Arktis. feels like a true successor to the first two Ihsahn albums, The Adversary and angL. It’s an unashamedly, exuberantly heavy metal album for the most part, and while it isn’t without experimental elements it feels like Ihsahn is concentrating more on songwriting, the riff and having fun; and it’s great. 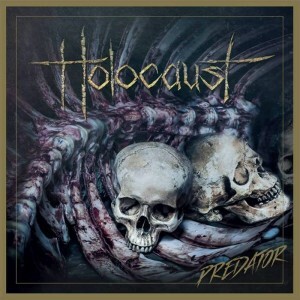 Speaking of unashamed heavy metal, an unexpected treat to (belatedly) come my way was the latest albums by Scottish NWOBHM legends Holocaust. Released through Sleaszy Rider Records, Predator is 100% a classic metal album, displaying that the band have lost none of the fire or power that brought them to the world’s attention with The Nightcomers back in 1981. As with fellow NWOBHM survivors Saxon, the band’s approach bears little resemblance to the kind of nostalgic pastiches of 80s metal made by so many modern ’80s style’ bands, instead drawing on the same impulses that made the NWOBHM so vital in the first place; passion, skill, good songwriting and an absolute disregard for the dictates of fashion. Predator isn’t only a great set of songs, it’s a heavy metal album for the twenty-first century and not just for ageing metal warriors longing for the golden age of their youth. They will like it too though. Away from current releases, birthday presents allowed me to overdose on the works of RATATAT, specifically their perfect debut album as well as LP3 and LP4. 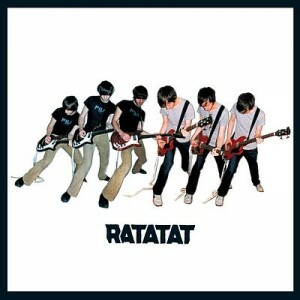 RATATAT are an interesting band to study chronologically, since their work manages to be both hard to label and surprisingly homogenous in itself. LP3 feels like the most experimental of the three (of all their albums in fact), but it’s a slightly deceptive perception, since LP4 was mostly recorded in the same sessions, so it’s mostly a matter of selection. It feels as though the duo are attempting to explore all of the possibilities within a fairly narrow range of sounds/styles and since their latest album Magnifique (2015) is perhaps their best to date, they hopefully still have plenty of exploring to do. 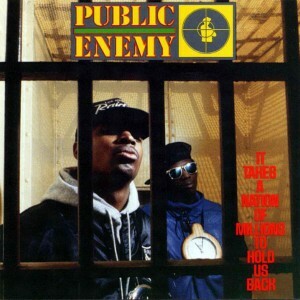 Going back in time, but never sounding more relevant than it does in 2016, Public Enemy‘s immortal It Takes A Nation Of Millions To Hold Us Back was being played probably too loud in my earphones for much of the month. Listening to Chuck D’s incredible delivery on songs like Louder Than A Bomb (to me one of the best rap performances I’ve heard) two things spring to mind; firstly that Chuck D has the perfect balance between power/authority/style and coherently getting his message across, and secondly that, from the perspective of Public Enemy in 1988, the USA in 2016 is probably both better and worse than they could have foreseen. If all Public Enemy had done was to inform and warn though, they would certainly have been important, but they wouldn’t necessarily have been one of the great musical groups of all time; It Takes A Nation Of Millions… is also a superb album just as sound. Terminator X’s innovative sampling and superlative turntable skills and Flavor Flav’s irrepressible personality bring as much to the album as Chuck D’s more authoritative persona and it’s no surprise that the album was embraced by kids and critics, people of all races and nations; that’s what classic albums do. 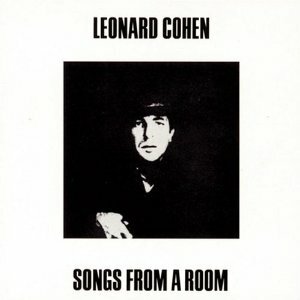 Older still, Leonard Cohen‘s Songs From A Room is an album I knew but didn’t own and it seems as good a place as any to start with his work. 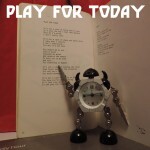 Strangely, I mainly know the songs from trying to learn to play the guitar with them (I can’t remember why, but the songbook for Songs From A Room and a Songs of George Formby were the only two chord books I had for years; sounds like a charity shop purchase). Maybe it’s because I spent large chunks of late adolescence listening to Joy Division, Cranes, The Smiths etc, but I don’t find Leonard Cohen at all depressing; and really, if as people often claim apologetically, ‘he isn’t really a singer, he’s a poet’, then what is Bob Dylan, or even Lou Reed? Cohen’s voice may not be flamboyant, but it’s inherently musical, and it delivers his emotionally complex lyrics with perfect clarity. The musical sparseness of the album too is a plus, stripped of late 60s ornament, it is timeless and beautiful. 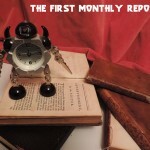 I read some books in February too. 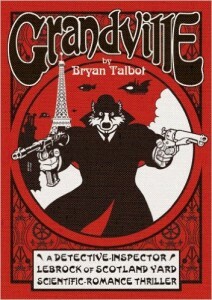 An extremely fun, quick, easy but not simple read was the first volume of Bryan Talbot‘s graphic novel series Grandville. Named in honour of the French caricaturist Grandville* the series consists of old fashioned ‘scientific romance thrillers’ that are part pointed steampunk satire, part Rupert the Bear; a very satisfying mixture as it turns out, and beautifully designed and drawn too. As it happens, Bryan Talbot had already drawn possibly my favourite ever steampunk comic art in his tenure as artist on Nemesis The Warlock in 2000AD comic. His ‘Gothic Empire’ episodes are beautifully atmospheric, some of the finest artwork from one of 2000AD’s golden ages. 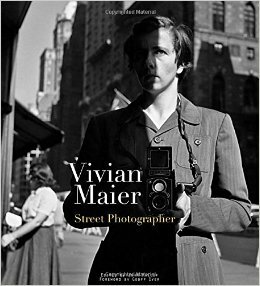 Another book with pictures is the brilliant Vivia n Maier: Street Photographer edited by John Maloof and published by powerHouse Books. Another beautifully designed book, it collects the amazingly evocative street photos of Vivien Maier, taken from the 1950s onwards but not discovered until after her death in 2009. 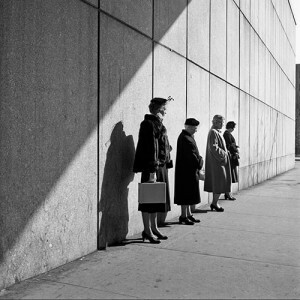 As a record of the minutiae of everyday life in big cities in days gone by, her photographs would be valuable enough; but they are also the testament to a genuinely remarkable photographic talent, a photographer who knew exactly what would make a good picture and how to capture it, both naturally and strikingly. 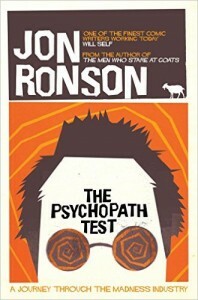 As February ends, I’m reading Jon Ronson‘s now famous The Psychopath Test. 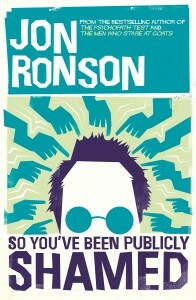 A superb and funny investigation into the nature of madness of various types, it retrospectively suffers a little from its own success, the ideas and stories having been widely disseminated since publication (Channel 4’s Psychopath Night etc) and on the whole I think I prefer his latest, So You’ve Been Publicly Shamed (recently published in paperback) which should be made mandatory reading for anyone who uses social networking sites or thinks that the world needs to hear their opinion. It’s genuinely one of the best books I’ve read in a long time and manages to say something new and meaningful about the ways the world has changed over the last few years while no-one was paying attention, except to their computers and phones.